Das Hotel liegt am 11. St. & Collins Ave. Dieses Studio ist nur zweihundert Meter von einem der großen Strände der Welt entfernt. Ruhiges, fröhliches Designer-Studio mit Blick auf die Gärten eines Boutique-Hotels. Großes Licht und Luft. Ein Murphy Queen-Size-Bett wird genial zum Speisesaal / Bürotisch während des Tages. Plus, ein Queen-Size-Schlafsofa. Schlafmöglichkeiten für 4 bequem. Das Studio befindet sich direkt hinter der Versace Mansion. Gehen Sie überall hin. Ocean Drive, News Cafe und Lincoln Road für tolle Einkaufsmöglichkeiten und Restaurants. Das voll funktionsfähige Badezimmer verfügt über flüssige Handseife und Duschseife. Alles ist zu Fuß erreichbar. Großartiges Essen, Geschäfte, Nachtclubs, Bars, Strand und vieles mehr! The location was awesome...everything you came for is right there! The aircondition was also very good and the bed/ table construction was easy to handle. I was also pleasantly surprised that we didn't hear any street noise, we only heard the aircondition at night. On our last day we have been allowed to use the apartment for no extra charges, until we needed to go to the airport, which was at 4 PM... you don't get that in any hotel, that was excellent! Appartement et propriété très bien placé à Miami Beach. A 5 minutes de la plage, à 2 minutes d’Ocean Drive. Parking public à proximité très pratique. Studio propre Avec un excellent Emplacement près de la plage a 2 minutes à pied, et 2 minutes à Ocean Drive, 15 minutes a Lincoln Road, pas besoin de voiture! Great location, everything you need! 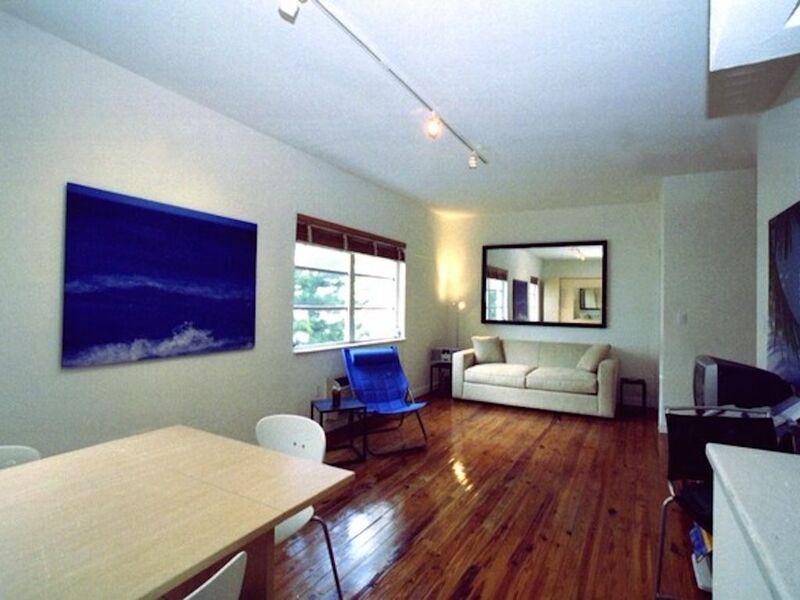 The location is ideal and the apartment has everything you need. Electronic key pad was handy; didn’t need to worry about keys. The suite was clean and welcoming. Would rent again! This property has everything you need for a comfortable stay in a perfect location. Only thing you need to keep in mind is the parking situation. Because of this property’s location, you have to pay for your parking whether a metered or garage parking. It can definitely get pricy so consider that if trying to stay with vacation budget. Guest Instructions will be emailed to you seven days before your arrival rental date.